MLROs.com are pleased to bring you our first venture outside the M25 in 2019. Join us in the next in our series of conferences held outside of London, kindly hosted by our friends at Squire Patton Boggs at their Birmingham offices. 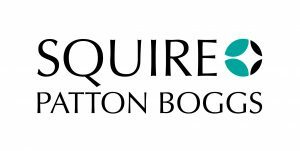 The delegate fee includes refreshments, lunch and a post event networking drinks reception, hosted by our friends at Squire Patton Boggs. The conference will be held at their Birmingham offices which are located at 148 Edmund St, Birmingham B3 2JR on Wednesday, 18th September 2019. The various presentations will be provided to paying delegates electronically post-conference. Tickets for Conference One North start at just £149.00* for a full days attendance. Please note our new pricing structure.